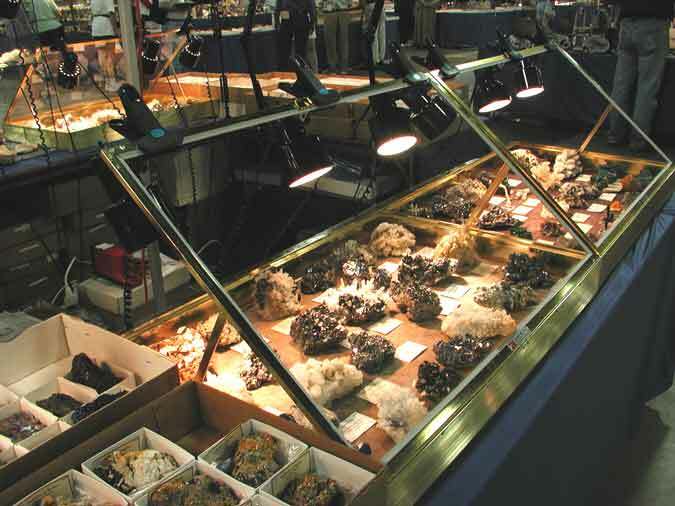 Here is a display with some of our high end minerals from the Herb Obodda Fluorite Collection. 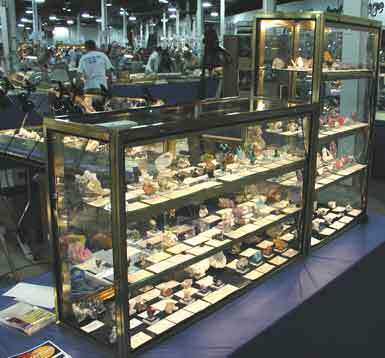 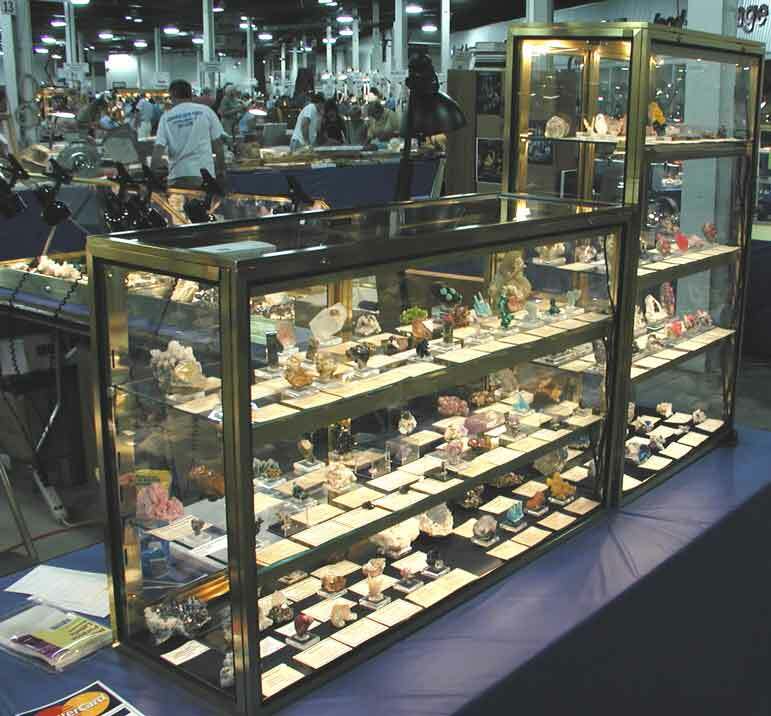 These display cases contain beautiful malachite specimens from Arizona; Sweet Home rhodochrosites (taller cabinet); as well as various Tsumeb, Indian, Bulgarian, and Mexican minerals. 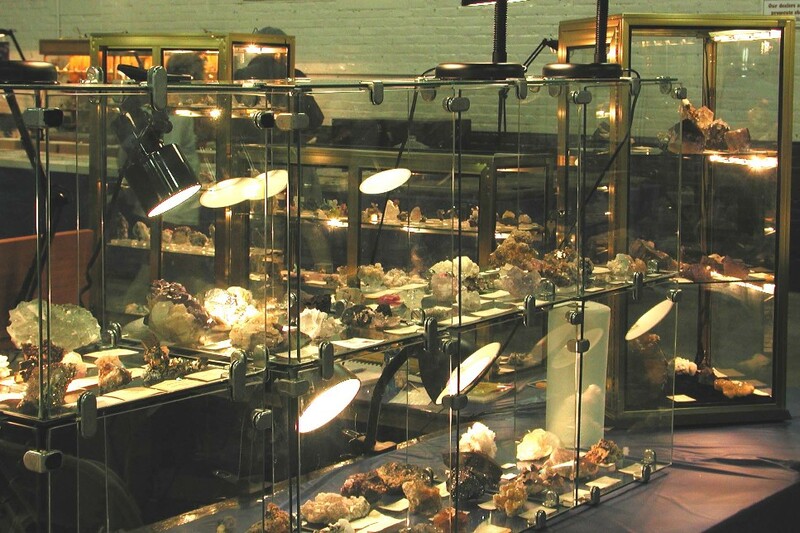 Large cabinet specimens of galena, quartz, sphalerite, calcite from Bulgaria. 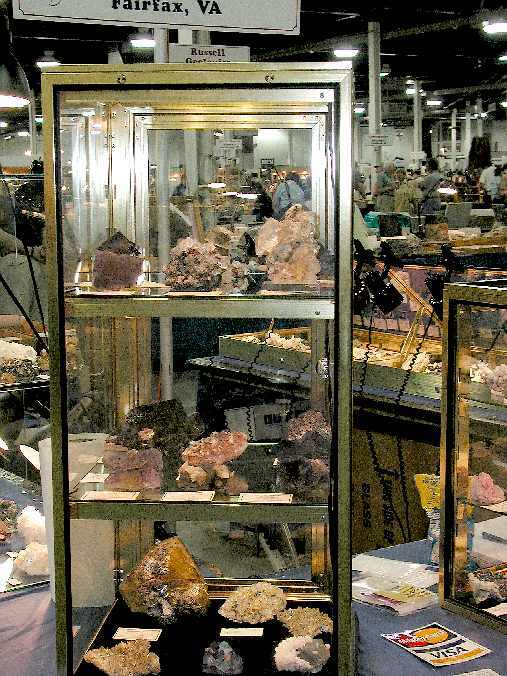 You can also spot the newly discovered wulfenite from China in the lower left corner.